Extra Mile Power Washing is the Eastern Panhandle’s number one house washing choice for protecting the value and appearance of your home. We will safely and gently deep clean your home’s exterior without the use of high pressure water. Our techs use the latest soft washing technology and quality specialized cleaning solutions. 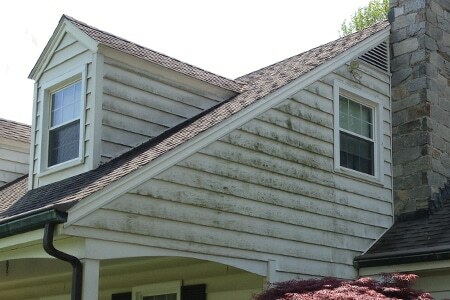 This technique is best to avoid damaging siding, roofing materials and other surfaces, because you don’t want damage, only beautiful results. 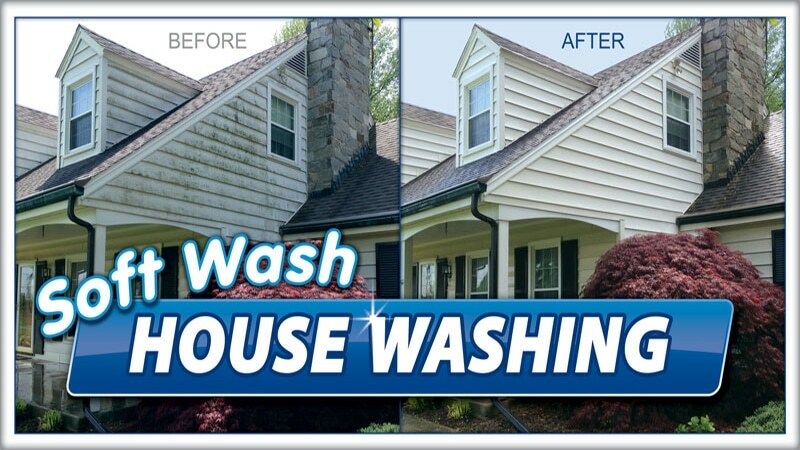 An Extra Mile Power Washing house wash package cleans and sanitizes your home’s exterior. Our cleaning experts wash away dirt, grime, pollution, bird droppings, insects, mold, mildew, bacteria and other harmful elements. Your home will be beautiful to those passing by it and safer for those living in it, because moisture needs to stay OUTSIDE of your home. 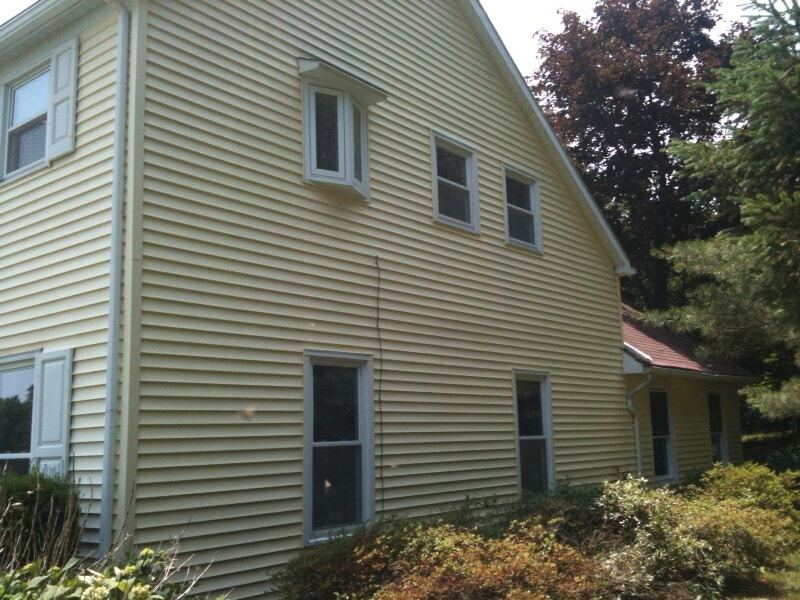 Our House Washing package includes siding, soffit, fascia, gutter and downspouts. 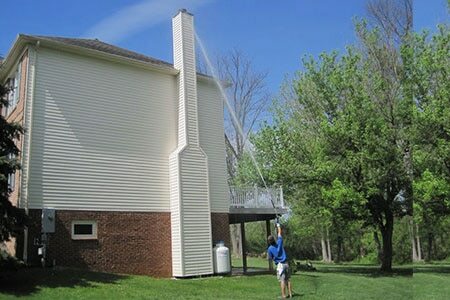 For a FREE pressure washing estimate call our Martinsburg, WV office at 304-904-0500 or contact us here. Your satisfaction is our main concern. 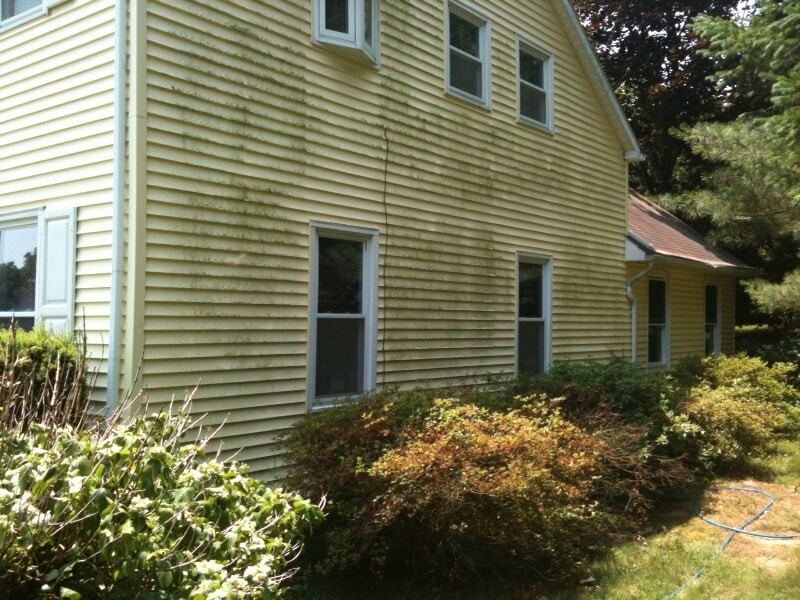 Click here to read our pressure washing blog. At Extra Mile Power Washing LLC we understand that not every surface needs “power washed,” in fact most surfaces just need washed enough to remove mold, dirt, and grime. Surely you wouldn’t wash your child’s hair, in the same way you would wash your tiled kitchen floor. The same is true with your home’s exterior. You wouldn’t expect your concrete patio to be washed in the same way as your wooden deck or the delicate vinyl siding of your home. Too much pressure can be harmful to these more delicate surfaces. With that, let me introduce you to a term that may be new to you, soft washing. The concept behind the softwash technique is simply using the proper pressure and gentle detergents for the surface being cleaned. When cleaning brick patio and steps for example, we wash with the basics, soap and water, then rinse with around 1,200 pounds of pressure. But vinyl siding is washed with just soap and water, but rinsed with just a little more pressure than you garden hose at less than 300 pounds of pressure. The key is soap and water. You wouldn’t take a shower without soap, you wouldn’t wash your car with just water. So why wouldn’t you give your home’s exterior the bath it deserves, with soap and water. Give us a call today, at 304-904-0500. We also offer concrete cleaning, roof cleaning, and deck cleaning services.